The Sony VPL-FH500L outstanding portfolio of features allows it to offer class-leading projection performance even in the most challenging of environments. Its 7,000 Lumens Colour Light Output brightness, its zoom and its wide lens shift range, allow it to deliver the clearest image where other projectors would struggle – even in high ambient light. Once installed, the Sony VPL-FH500L has excellent image capabilities and a long lifespan that delivers low Total Cost of Ownership. Sony’s BrightEra technology improves and maintains colour purity throughout the life of the system by protecting the LCD panels against harmful ultra violet light. Clever features such as dual auto-switching lamps, and synchronised lamp and filter replacement cycles, reduce maintenance costs and downtime. 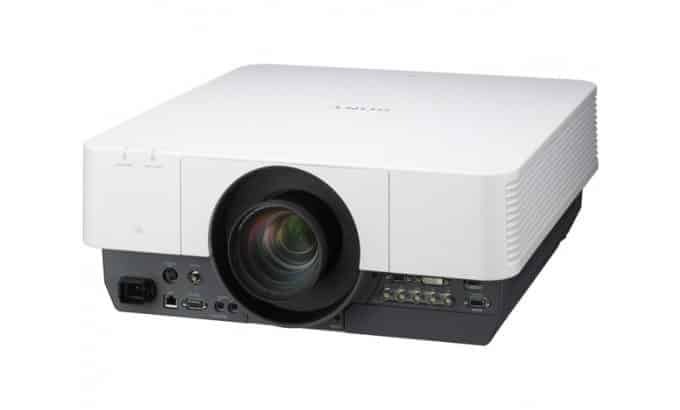 Featuring the usual wide range of inputs, an external monitor connection for the presenter’s convenience, and advanced projection capabilities such as side-by-side image projection and DICOM medical training, the Sony VPL-FH500L is the projector of choice for venues that demand the highest quality in the most practical, flexible form.